This is our third year running of contributing to pimp that snack (see: Krispy K2 and The Very Hungry Caterpillar), it's always a good way of spending a day in the summer holidays. 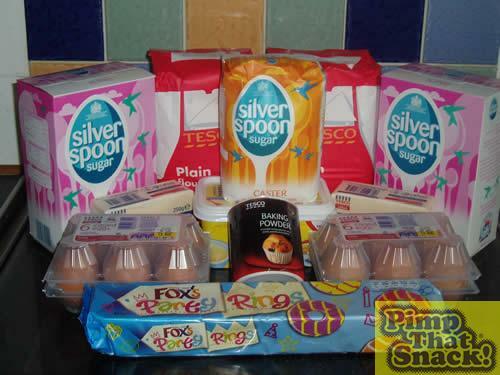 This year we thought to ourselves, Olympic Rings, Party Rings, what a great opportunity. (Well, that was mum's idea!). Step 1- we found a basic biscuit recipe for the bottom half, and as you will find out later the top half is just pure sugar. 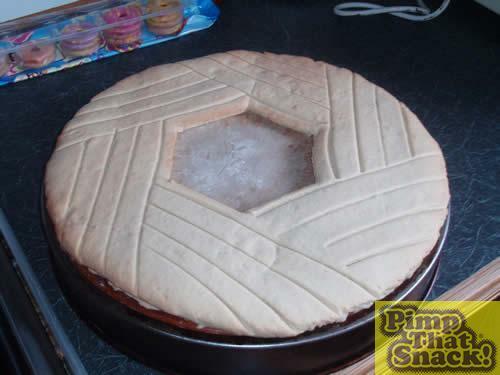 While one of the lords (Nick) and Bilbo mixed and carried out the biscuit recipe, the other lord (Tom), used his brain to its limit to work out how to draw a perfect hexagen for cutting out the middle of the party ring. After a while he came up with the idea of making a compass a random size and seeing if it would go around a circle six times- pure genius! 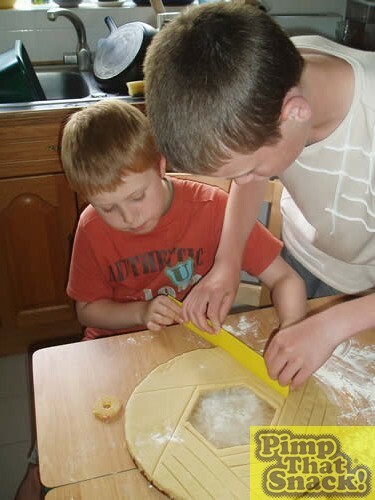 Step 2- Once the biscuit mix was done it was a dough and so after Tom's method of making a hexagon some how worked he rolled out the dough, put it on a large pizza stone, trimed the edges to make a circle then cut his hexagon out of the middle. 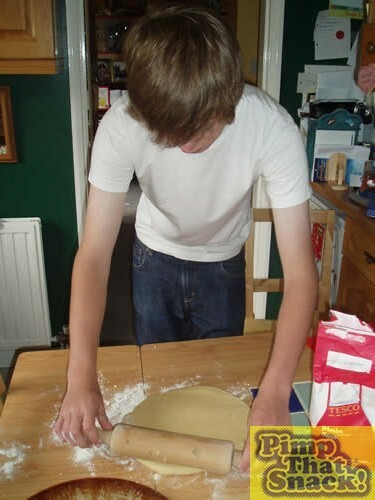 Step 3- Before we put it into the oven to bake, we had to do something very accurate, even though it wouldn't be seen. On the back of a normal sized party ring, there are some lines. If we wanted it to be a true pimp we would have to do the lines as well. 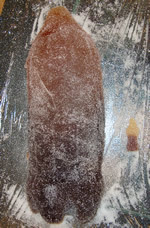 Using a thirty centi-metre ruler we pressed in to the party ring the pattern of lines you can see on the back. 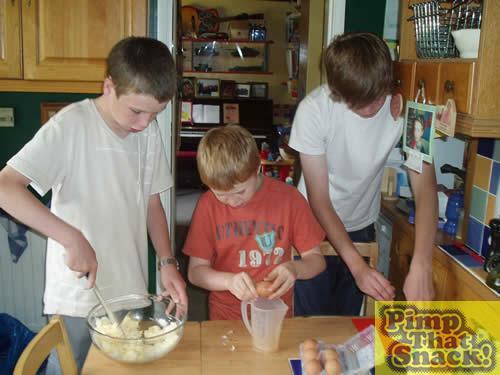 Step 4- We repeated this another four times until we had five cooked biscuits. For recycling purposes we discovered four holes make a whole. 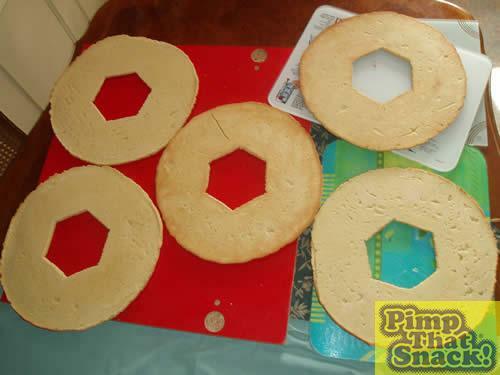 In other words, we used the trimmings of the hexagon hole to make the fifth biscuit.